THE WRITING BUDDHA - Opinions | Books | Movies: Chhimi Tenduf-La: "I have to be nicer to people in the hope that they buy my books." (Interview) !!! 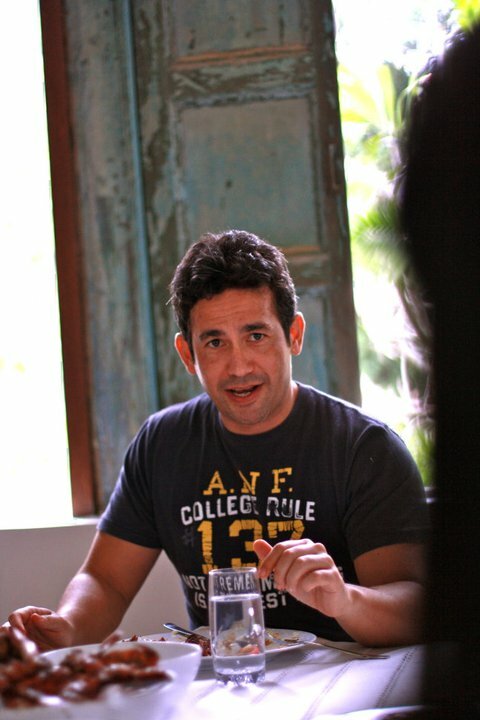 Chhimi Tenduf-La: "I have to be nicer to people in the hope that they buy my books." (Interview) !!! 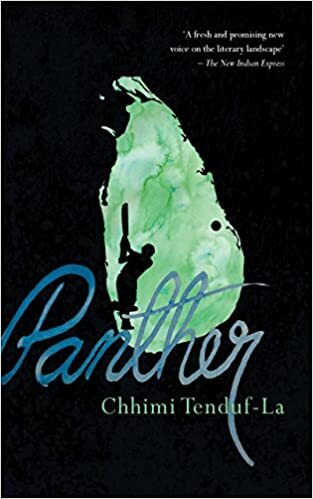 Chhimi Tenduf-La is someone whom I call Chetan Bhagat of Sri-Lanka because the way he writes, he makes a reader feel that it's his own story even when he have faced nothing of it. He has recently come up with his 2nd novel- Panther. Do read this funny and honest interview to know what Chhimi have to say to all of us regarding his life as writer. 1. How has life changed since writing first book early this year? I have had to employ heavier bodyguards and I wear sunglasses in the night now. I’m just joking, of course, as if I am honest, nothing has really changed. The big change in my life was becoming a parent not an author. The only changes are that I am busier, for sure, and I have to be nicer to people in the hope that they buy my books. 2. What kind of responses did you get for THE AMAZING RACIST? Incredible really, both from bloggers and the press. I hoped it would have some commercial success but I never imagined it would be well received critically, so that’s great. The best part, really, is hearing that people who don’t normally read, have read it. 3. Tell us something about your new release- Panther. I started writing Panther as a high school drama- like a teen movie for South Asia, but it developed into more as I studied the psychology of child soldiers and the like. This made it a more emotional story, and possibly one which has suspense and surprises. Initially it was called the Papadum King but my publisher felt that title made it sound too childish. We changed it to Panther to maintain some mystery. The main character was a child soldier for the Panthers, and in some ways he is a panther at high school, trying to sneak around and get by. 5. How did you manage to write and release it within 6 months of your first release? I wrote both books before I approached an agent, so with a few tweaks here and there I sold them at roughly the same time. It is not like I quickly wrote Panther. Easy at the moment. I would say Panther for sure as it was more challenging to write and it is a deeper, more substantial story. The Amazing Racist was really fun to write and it has greater appeal to those who want an easier read, but Panther is getting more critical success. This choice may have been easy because Panther is the newer book so it is what I am thinking about more. In fact, sometimes I feel like I wrote The Amazing Racist in another life time. 7. Didn't you find it a risk to write a story based on communal wars within a nation you live in? Very much so. I don’t want to annoy people or look like I am taking sides. I think I can avoid the attention of violent elements as they are unlikely to read the book – if a movie comes out, then I could be in trouble. 8. What are your plans for your 3rd book? I have started writing it and the words are flowing – however, I want to be patient and not send it out there until it is as good as I can make it. I want to write at much as possible until December, when we are expecting a baby, then I will take a few months off and come back to it with fresh eyes. I hope. 9. Any words for your Indian fans out here. Thanks so much for your generous support of this book. The feedback from India has been fantastic and I have loved being in touch with some of you. If lots of you read my books I will admit that India has the best cricket team in the world.